All hail the only deodorant that really offers all day protection. Without this bad boy, I would truly be a hot, sticky and rather sweaty mess (TMI?) and no one wants to see that! I never used to be loyal to any particular deodorant brand and would buy whatever was on offer. Funnily enough I really disliked the canned version of this deodorant, but have found that the roll on works perfectly fine! Garnier Micellar Cleansing Water £4.99 Micellar water should be a staple in everyone’s beauty cupboard. I've got through countless bottles of the stuff. Micellar cleansing water really hits the nail on the head when it comes to makeup removal, making it easy, effective and fuss free. The high street offering of micellar waters is ever growing, with Soap & Glory, NIVEA, Simple, La Roche Posay and Avene now jumping on the bandwagon. My favourite cleansing water is from Garnier costing a very affordable £4.99, but I do also like Bioderma - the Queen of micellar water. 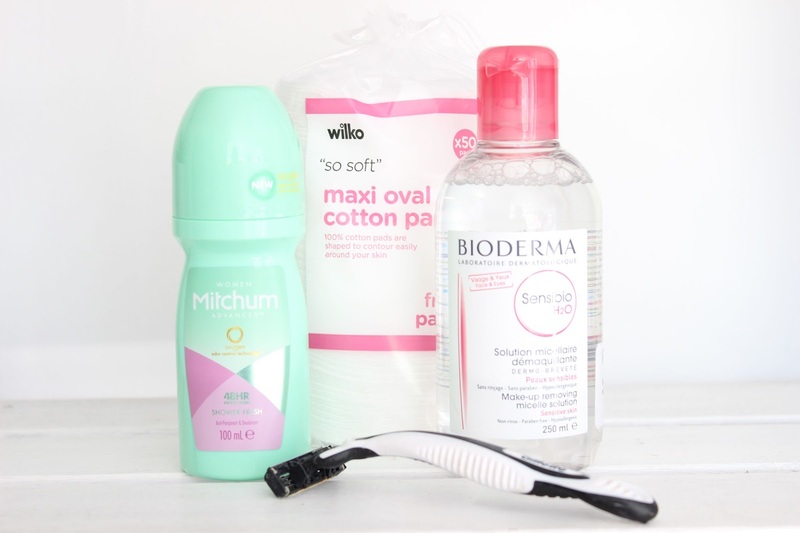 Wilko Skin Therapy Maxi Oval Cotton Pads £0.50 It would be no good having a bottle of micellar water without cotton pads. And who would of thought you could have a preference when it comes to cotton pads? Well after a fair bit of experimenting, I have found that the oval cotton pads from Wilkinsons are by far the softest and with 50 in a pack, priced at 50p, I can’t complain. Gillette Disposable Razors 4 Pack £5.79 I gave up on female shavers a long time ago after finding they went blunt in a very short amount of time and the gel bars disappeared after a couple of uses. For just £5.79 I can get my hands on 4 razors of a same, if not higher quality than the likes of Gillette Venus range, which are relatively more expensive. These male intended razors are sharper and although I use them on my legs and armpits I have never cut myself whilst using them. They give a close shave, leave my skin feeling super smooth, don’t irritate my skin and don’t go blunt. So next time you’re in Boots, take a trip down the men’s isle, you may get a few odd looks, but smooth legs and hairless armpits are essential.